The National Board for Professional Teaching Standards has made getting certified cheaper and easier to manage. Will more teachers pursue certification? Sandreka Brown felt she became part of a community of teachers for the first time when she became National Board certified last year. Though the process was rigorous and time-consuming—she recalls spending up to three hours a day, three days a week, writing about her teaching, plus meeting monthly with a mentor, all while working—Brown says it’s already transformed how she teaches. Brown is one of a growing number of teachers who have pursued the credential from the National Board for Professional Teaching Standards after the Virginia-based group rolled out adjustments to the certification process to make it more accessible, especially for teachers early in their career. Sandreka Brown dances with her students. The Georgia-based teacher received her board certification last year. Board certification made me a reflective and purposeful kind of teacher. But while an increasing body of research has shown that board-certified teachers are more likely to improve academic outcomes for students—up to one and a half months of additional learning in a year, according to one study—and to advance in their careers, many teachers have been reluctant to pursue certification due to the cost and time required. The board now hopes to change this by cutting the fees, lengthening the time applicants can take to finish, and providing more online access, with a goal of certifying 1 million teachers by 2025. There are 19,500 teachers going through certification currently, compared to 9,000 four years ago. The idea of a teaching certification came in part as a response to the 1983 report “A Nation at Risk,” which warned of a “rising tide of mediocrity” in education. The goal was to create standards for high-quality teaching and to professionalize teaching through licensure—following the lead of fields like medicine, engineering, and architecture. The National Board for Professional Teaching Standards launched in 1987; 30 years later, the nonprofit organization has certified more than 112,000 teachers. Previously, teachers had to complete the certification process within a year; with the recent changes, teachers now can take up to three. The price has decreased from $2,500 to $1,950, and the board has introduced an online tool called Atlas, which contains videos of certified teachers at work to help guide the application process from afar. Social studies teacher Troy Grant works with students at an international high school in Maryland. Grant says the certification process dramatically changed how he teaches. But the changes don’t mean the process has become any less rigorous. It is organized around four key components, or portfolios—teacher candidates must take a computer-based, written test in their content area; show examples of how they’ve tailored instruction to drive individual academic gains; submit videos of their classroom teaching with reflections on what did go well and what didn’t; and provide examples of ways they’ve used data and school and community resources to improve outcomes for their students. 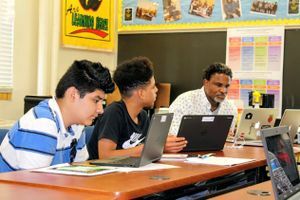 According to Troy Grant, a 15-year social studies teacher in Largo, Maryland, the process pushed him out of his comfort zone, especially in the fourth portfolio, where he was tasked to look outside the classroom to improve his teaching. Grant, who teaches English language learners (ELLs) in an international high school, decided to start making home visits when parents didn’t show up for conferences. The visits “changed my narrative of the struggle for these students,” said Grant, who says he developed a newfound understanding of his students’ circumstances, a context necessary to become a better educator. For teachers like Audra Damron, the changes in certification made pursuing the credential possible. “I have two kids, and between teaching and being a mom and wife, trying it all in one year would have been a lot to take on,” she explains. The 32-year-old started the process three years ago after hearing from certified teachers at a conference share how certification changed their lives. Damron hopes to hear by year’s end whether she scored enough points on each of the four portfolios to merit the board’s certificate. In the meantime, she has already begun appreciating another aspect of pursuing certification: joining a collegial community. Seven teachers in her area are simultaneously pursuing certification, something the board actively encourages. There are more communities cropping up statewide, and Damron has been to several events where she and other candidates have collaborated on lessons and provided each other moral support. 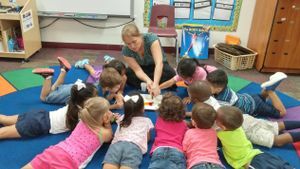 Changes to the certification process made pursuing the credential possible for Audra Damron, a pre-K teacher in Arizona seen here with her students. Yet in other locations, it can be harder to convince peers of the certification’s worth. After moving from Alabama to Georgia last year, Brown found that there were fewer board-certified teachers in her new state. One reason for this may be that Alabama dedicates state and local funds to help teachers with the cost of certification, as well as offering salary increases and annual bonuses once certification is obtained. Brown’s out-of-pocket costs to be certified were $350. At least 29 other states offer at least one of these incentives to teachers pursuing certification, according to the board. Teaching is an isolating profession. It’s a complete game-changer, finding your people. But in Georgia, as in some other states, the state legislature removed similar programs after the economic downturn. Not finding many board-certified teachers in her immediate surroundings, Brown said she jumps on the phone with her Alabama colleagues about once a month to swap ideas. She also hopes to form an advisory committee in her district to help convince more teachers to pursue certification—and to find funds to cover the costs. Part of convincing more teachers to get certified rests on the board’s shoulders—proving that the credential is valuable. Shining a light on the research results of recent years showing benefits to students taught by certified teachers may help. A 2015 study in Washington State showed that board-certified teachers produced benefits of up to one and half months of additional learning per academic year, and a 2012 Los Angeles study found similar results. Then there’s the board’s recent three-year initiative aimed at improving reading proficiency for kindergartners and third graders in Mississippi that the organization hopes to expand to other states. For the past three summers, board-certified teachers like Shanieca Adams have helped coach Mississippi kindergarten and third grade reading teachers who work with students who have failed statewide reading tests. We hope to make certification fit into the very busy lives of practicing teachers, while spreading a vision of how teaching can become the true profession it deserves to be. Adams, a 20-year veteran teacher who grew up in the Mississippi Delta, said she pursued certification early in her career to “be the best me possible.” Adams said she’s certain that going through certification has helped the hundreds of students she has taught over the years and the younger teachers she mentored for two summers in the literacy project. The practices Adams and others are imparting seem to be helping too, with preliminary results finding that third graders who participated in the project were 10.7 percent more likely to achieve proficiency on the statewide English test, and kindergartners were 30.7 percent more likely to do the same. 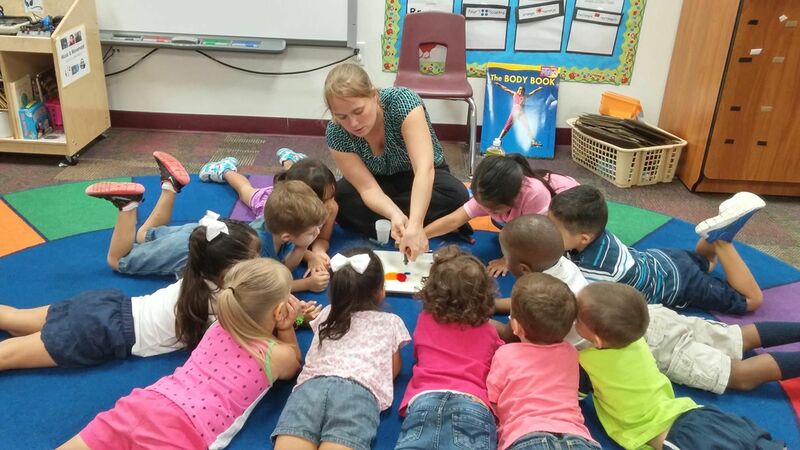 Although Adams has been teaching for two decades, she says she’s still learning. 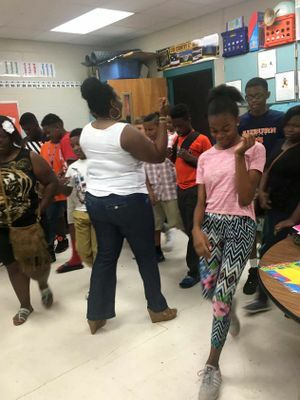 Whenever she has time off, she visits other board-certified teachers in her district or other parts of Mississippi to hone her craft.